It’s the one resource you never get back. Recently I led a luncheon about Growing your Business on a Budget at a local startup incubator. The talk forced me to take a thoughtful look at the methods we’ve used to grow Come Alive Creative, Happy Mitten Games, and the businesses of my clients. We discussed several principles but “recycling your content” resonated most with the audience. Business owners and freelancers all need to sell. We invest time and money into different marketing strategies in order to extend our reach. Of those two resources, time is the most valuable. How are you maximizing your time? One of the best ways to maximize your time is to recycle your content. If you are like me, content marketing is one of the avenues I reach my target audience. This means I write blogs, produce podcasts, and create other forms of content to teach, entertain, and build authority. However, the way many of us do it is wasteful to ourselves and those we’re trying to reach. If I take the time to create a piece of content, it needs to be useable a minimum of 2 different ways. Let’s say you want to write a ‘how-to’ post for your wedding photography website. Most people write a post and hope it generates business. Others promote the post using Google Adwords or through social media channels. Even so, it still remains a single-use post with those strategies. If it’s a longer ‘how-to’ post (maybe 4,000 – 6,000 words), you could break it into 3 – 4 individual blog posts. Then offer the original, entire piece as a free PDF for opting into your mailing list at the end of each blog post. In that example, you’re taking the same exact content and using it in 2 different ways; to build your website’s authority and increase your mailing list subscribers. 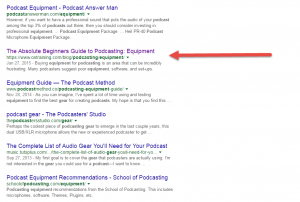 I wrote a long form Complete Beginners Guide to Podcasting, put it on a single page site and promoted it with Adwords to see if people were interested in me creating a podcasting course. My tests revealed little interest in the course. I easily could have stopped there. But I didn’t. I took the piece, broke it into a several part blog series and sold it to OSTraining as a guest post series on podcasting. Many of these posts have ranked very well on Google and have driven quality traffic to my site. I sold the posts under a shared license to OSTraining. This means I got to use them for my own website as well. Soon, I will be re-combining the posts into a single PDF and offering it as lead generation content at the end of each blog post to increase my mailing list subscribers. Due to the popularity of the series, I will be creating a podcasting video series for OSTraining. The original post is now the structure of the video series. Last, the agreement I signed is a shared license, similar to point #3. So once it’s finished, I’ll be able to sell it as a course on my own website. I took a single piece of content and was able to reuse it six times with only minor adjustments. I gained personal site and guest blog authority, increased newsletter subscriber numbers, got paid twice, and received new business inquiries all from a single post. Anyone can do this. A little bit of planning before creating content can pay great dividends. 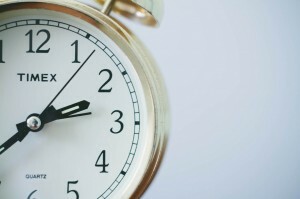 If you care about saving time and maximizing your reach, you should be recycling your content. In what ways are you reusing your content? If you aren’t, start now! Pick your most popular piece of existing content and brainstorm at least 2 to 3 other ways you can recycle it without a large amount of extra work. Want help? I’ve worked with many clients on how to improve their websites or marketing strategy. Go to my contact page and we’ll see if we’re a good fit for each other. Not ready to meet but would like to learn more? Use the form below to sign up for my company’s newsletter and receive a free PDF of all of the growth hacks, links, tools, and resources discussed at the event. Also, you’ll receive my free email course series on growth hacks for your business.